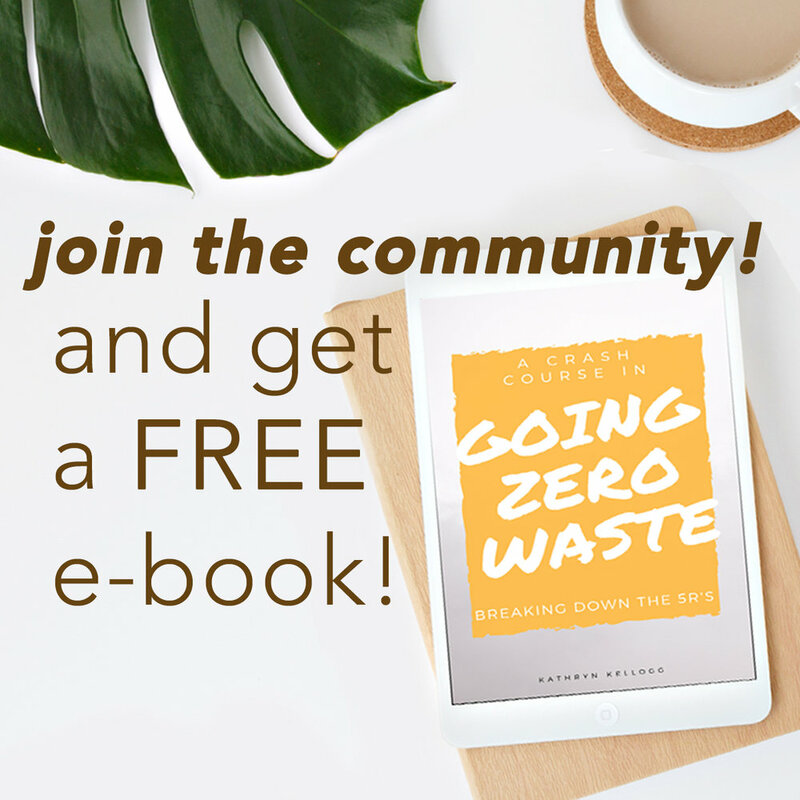 I have a huge guide for backyard composting, but what if you don't have a backyard? Can you still compost? Of course you can! 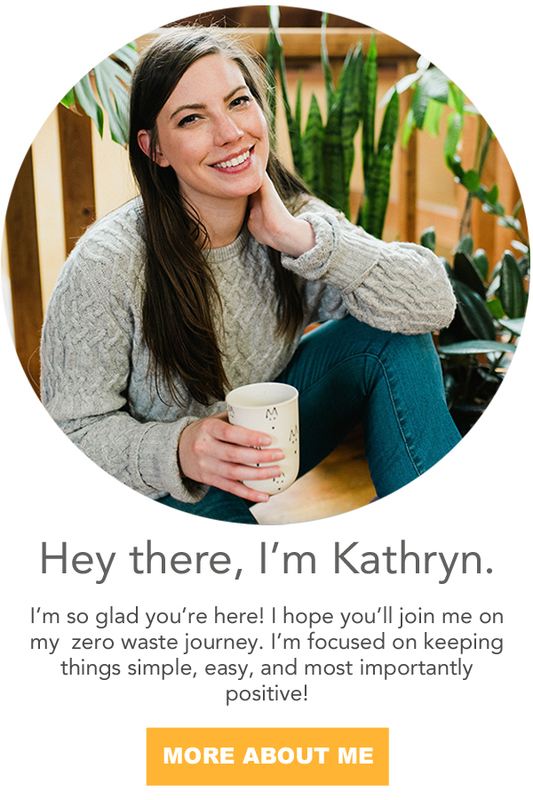 If there's only one thing you take away from this blog, I want you to understand the power of composting. Composting is the most effective zero waste tool in the tool belt. Think of all the good we can do just by removing organics out of our landfills! There's this misconception that compost is stinky, but it only smells when it's mixed with non-organics like plastic. Composting is pretty simple. Here are a couple of ways that you can avoid sending those food scraps to a landfill even if you don't have a backyard. Worm bins* are definitely the most common form of indoo compost. It is important to keep a good mix ocarbon and nitrogen. Carbon is paper, cardboard, news paper, dry leaves, etc. Shredded paper can't be recycled, but it can be composted. It's a great addition to keep your compost balanced. The nitrogen is going to be most of your food scraps. You want to aim to keep it 50/50. Worms like to be kept around room temperature, so they're the perfect indoor pet that happen to like eating your food scraps. Just don't add dairy, meat, or citrus peels. You can typically find red wigglers, the composting worm, at your local bait shop. I'm super intrigued by the bokashi bucket*. It seems really simple. It's a giant bucket and you add all of your compost including meat and dairy into the base. You mash it all down and then add in an activator mix which is full of microbes which speed the process of decomposition. According to the website you should have compost in 4 weeks. I don't think you have to keep a balance of nitrogen and carbon. The activator mix takes care of that. If you don't have a yard, this is definitely a reconnaissance mission. Tench composting is where you did a hole in the ground and bury your compost. It's really easy, effective, and inexpensive. The only problem is finding a place to do it. Most farmers at my my farmers market have large compost piles. They take odds and ends off the vegetables that people don't want like carrot tops or radish tops (even though your should 100% be eating those things and check out my post on 8 Innovative ideas to Cook with those Food Scraps) to take back to the farm and compost. Ask one of the farmers if you can bring your scraps to add to the pile. If there's an egg vendor at the farmers market, chickens love to eat food scraps. See if they would have use for your scraps. I also have neighbors and friends with chickens who are more than happy to take my scraps off my hands. It certainly doesn't hurt to ask around and see who could use them. Community gardens often have compost plots. See if you can join the community garden and add your food scraps to the pile. Who knows, you might make some new friends and collect some delicious produce too! Check to see if your city offers composting or if there's a business in town that collects food scraps. Often times someone is out there performing that service, it just takes a little bit of googling. My city doesn't offer municipal compost, but they do subsidize backyard composters for people. All it took was a short google search! There are so many ways to plug into groups and find people with the internet today. If you're trying to compost, I'm sure there's someone in your area that has chickens, a composter, or a large garden. Some grocery stores collect compost outside of their stores too. See if you can find one near you. Try and find some like-minded individuals you can work with when it comes to composting. I collect compost at work and bring it home to my personal compost bin. It's not big deal! I'm happy to take home food scraps and save them from the landfill.